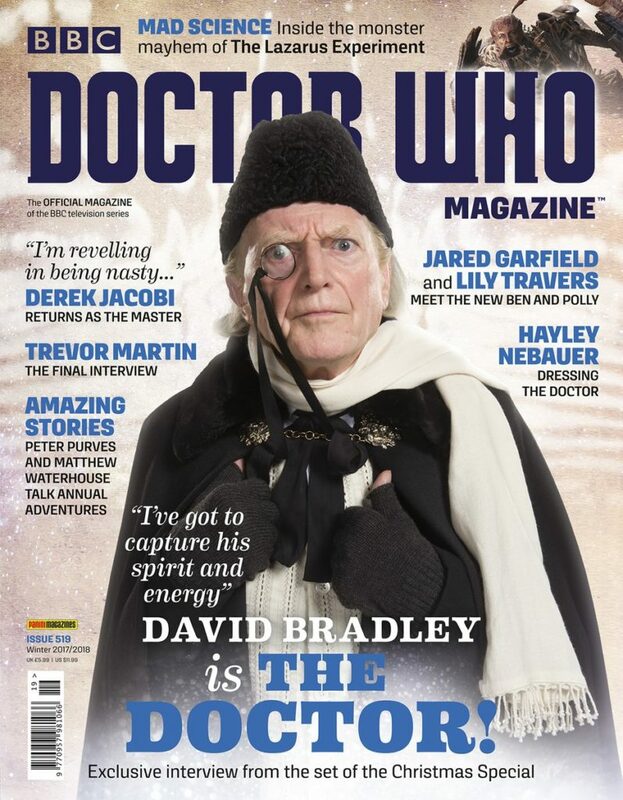 The issue 519 was out Thursday, 16th November 2017, price £5.99, and has and exclusive interview with the new first Doctor, David Bradley: 4 years ago he played William Hartnell in BBC Two’s ‘An adventure in space and time’. Now the actor is returning as the First Doctor for this year’s Christmas Special episode ‘Twice upon a time’. Sir Derek Jacobi is returning as the Master: he talks to DWM about bringing back his version of the Master for Big Finish’s new series of audio adventures.